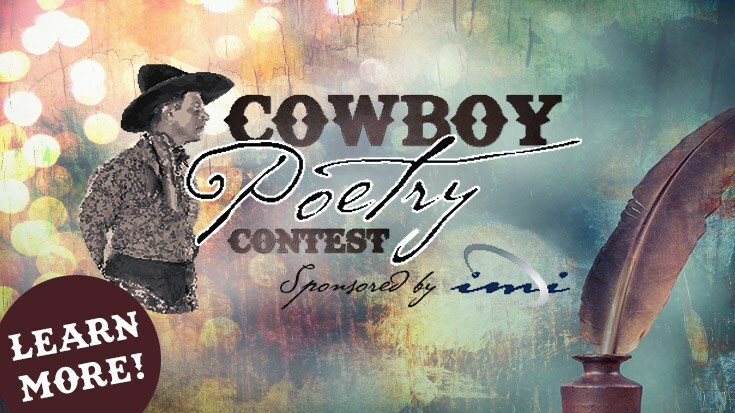 The National Cattlemen’s Beef Association is seeking applicants to its cowboy poetry contest. Five finalists will be selected by NCBA on October 26th, with public voting on submitted videos held November 6th through December 4th, 2018. The top three will be announced December 5th, 2018. The winner will have the chance to perform their work live on stage at the 2019 Cattle Industry Convention in New Orleans February 1, 2019. The contestant must upload a video performing the poetry work that is five minutes or less, along with the poem in document form, to be considered. For more information and to enter, go to www.ncba.org, then click on conventions and events/Cattle Industry Convention & NCBA Trade Show.